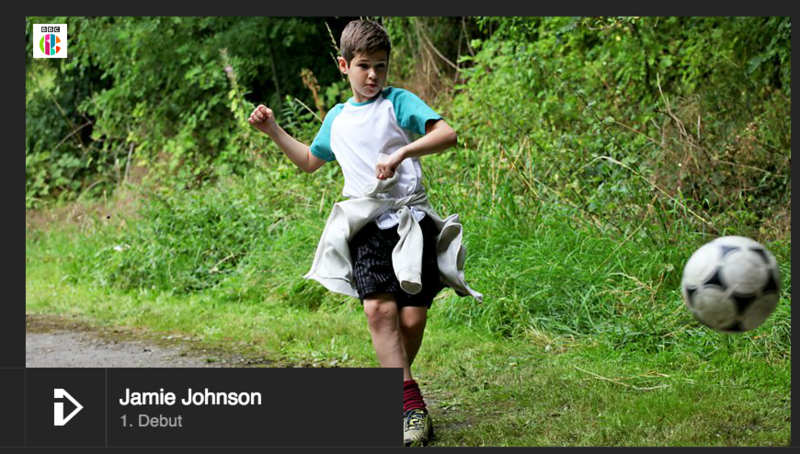 You are here: Home > Excellent review of the JJ TV Series from Joshua! Excellent review of the JJ TV Series from Joshua! Recently, Dan met Joshua, a huge Jamie Johnson fan, at Garlinge Primary School. Joshua had written a review of the JJ TV series so far. Jamie Johnson was 11 years old and was mad about the Hawkstone football team. 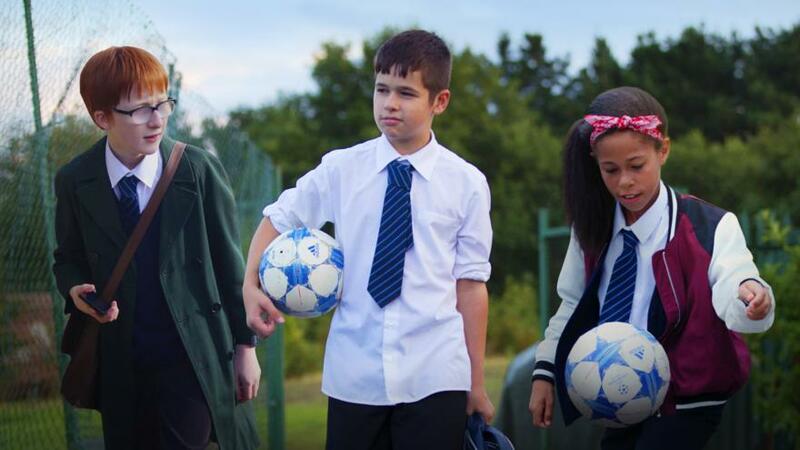 Jamie did not live with his dad and was starting a new school, Kingsmount. Jamie’s granddad, Mike, took Jamie to school. His first lesson was Science and he met a new friend called Boggy. He played with Boggy at break time. At lunch, two new friends, Dillon and Harry, told Jamie to play 2v2 in the sports hall, and Jamie met another friend called Jack. They were really determined to make the football team. Jamie met Steven Gerrard from the team LA Galaxy and saw a new girl call Indira. 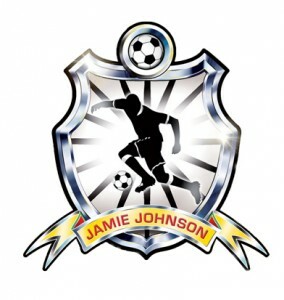 Jamie played in a cup tournament match. He was sad because he missed a penalty and was not chosen to take a corner in the last minute of the match. Because he had pushed Harry after the match, he was sent to see the Head Teacher, Miss Savage in her office. She gave him a yellow card and a verbal warning. In the next match, there was a scout from Hawkstone Academy; Jamie tried hard to impress him but unfortunately, he was not chosen. He felt angry and frustrated, so he kicked the ball and it hit Harry Hansard, injuring his ankle. Jamie got suspended by the Head Teacher from school. A new boy started at Kingsmount, Michel Bernard – the son of Raymondo Bernard. 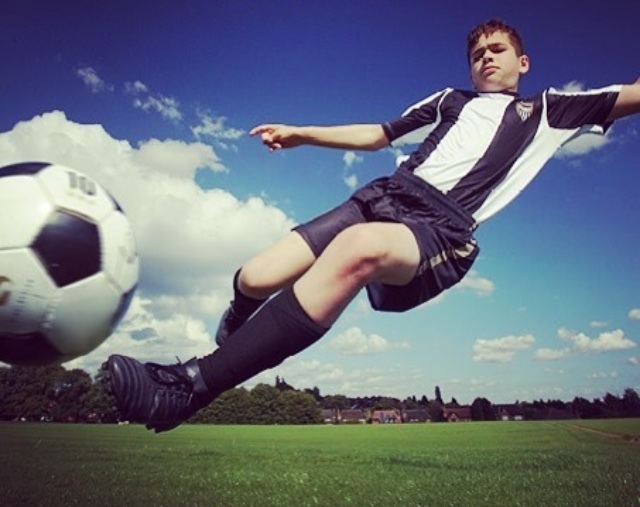 When Jamie got back from suspension, he played a game against Westfield High in the semi-finals for the inter-school cup. They lost, but because one of the Westfield players cheated. Then they played again, this time Kingsmount won. Then they were in the finals in the secondary inter-school cup against Thorn Lake grammar school. One of their players was from Hawkstone academy. Both teams scored three goals, so it went to penalties and Kingsmount won. Jamie and his team cheered hooray! Jamie got offered a place at the Foxborough academy. Kingsmount and Westfield merged and Mr Hansard, the P.E. teacher, did football trials for both schools. Their first match was against Thorn Lake. They lost because Jamie was at an academy trial for Foxborough. 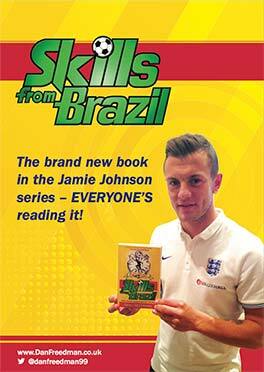 If you would like a small taste of the JJ TV Series, visit one of the links below.